A small investment in dry well system repair can deliver big returns by protecting the yard from water damage when it gets flooded due to heavy rains, plumbing problems or any other reason. 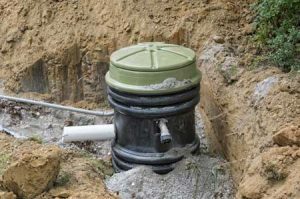 Proper and regular dry well maintenance is critical for having this small, but important investment last a long time. However, dry well problems can still happen in Eatonville, WA properties. This is where Vac-Tec LLC steps in. We offer dry well repair and dry well rebuild services. Feel free to call us if you have a dry well full of water and backing up into the yard. 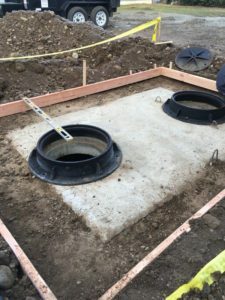 We send highly skilled technicians to determine the reason for your dry well not draining into the ground and perform the dry well repair necessary to restore its normal functioning. Our company works on dry well repair jobs in Eatonville for both residential and commercial properties. 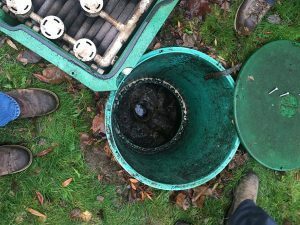 Dry well having scum and sediment buildup is one of the most common dry well problems a property owner has to deal with. A carefully installed dry well system of the right size does minimize your drainage hassles, but you cannot expect the system to last forever without developing any issues. The dry well system on your property is an important installation. When faced with dry well drainage problems, you must take the time to find the right professionals to fix them. Call us to fix your dry well problems in Eatonville and rest easy that the system repair is in reliable hands. Our knowledgeable and sincere technicians are committed to protecting your best interests while working at dry well rejuvenation in your yard. Call us today to discuss your dry well problems and schedule a visit with our repair crew. Call (253) 777-4887 to hire the experts at Vac-Tec LLC for dry well repair services in Eatonville.